CDOT regulates outdoor advertising along the Colorado state highway system. Signs that are within 660 feet of highway right of way are subject to state and federal rules and regulations, which include requirements for size, lighting and spacing. Generally, a sign that advertises an activity, service or product not conducted on the property upon which the sign is located must obtain a permit from CDOT. If a permit cannot be obtained, then that sign would be considered illegal if erected at that location. 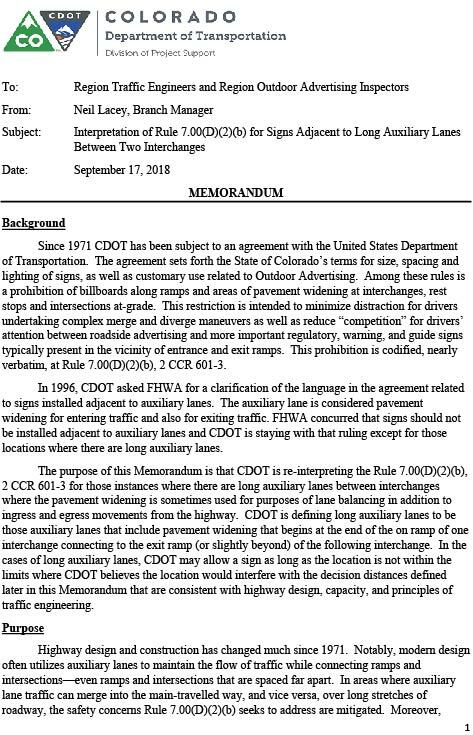 Pursuant to state and federal law, CDOT is required to provide effective control of outdoor advertising devices adjacent to state highways in accordance with the Highway Beautification Act of 1965. 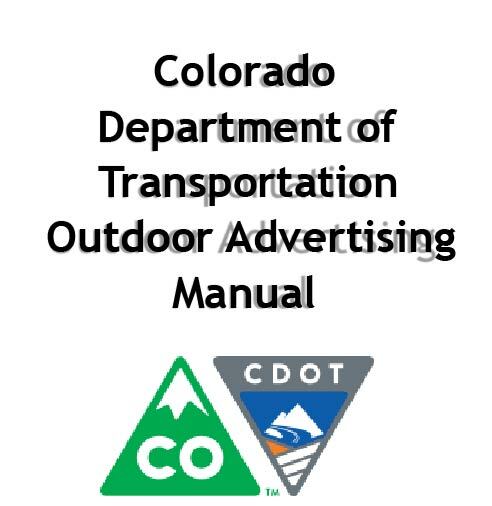 CDOT outdoor advertising permits are required to display off-premise advertising adjacent to state highways. CDOT determines eligibility, issues permits and oversees all outdoor advertising devices.